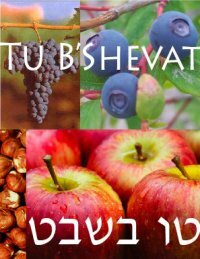 Today (starting last night) is an obscure Jewish agricultural holiday called Tu B’Shevat. It’s literally the New Year for Trees. Way-back-when, people needed a date to restart the agricultural calendar each year, and this date was chosen, being around the time of year the almond trees were in bloom. A lot of modern sustainability-focused Jews celebrate Tu B’Shevat as an ecological holiday, a chance to talk about issues like land use, climate change, forest preservation, or sustainable food. 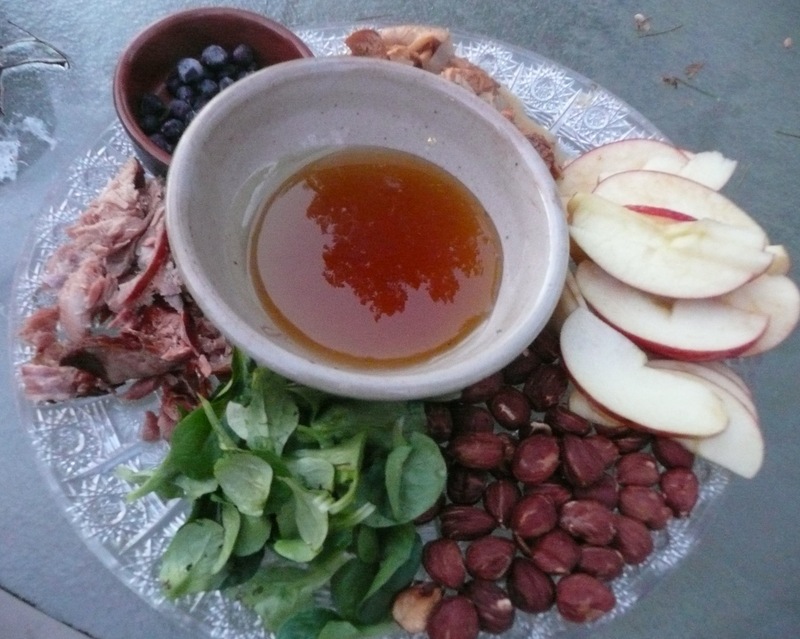 For the last two years, I’ve hosted a seder and meal focusing on local foods. 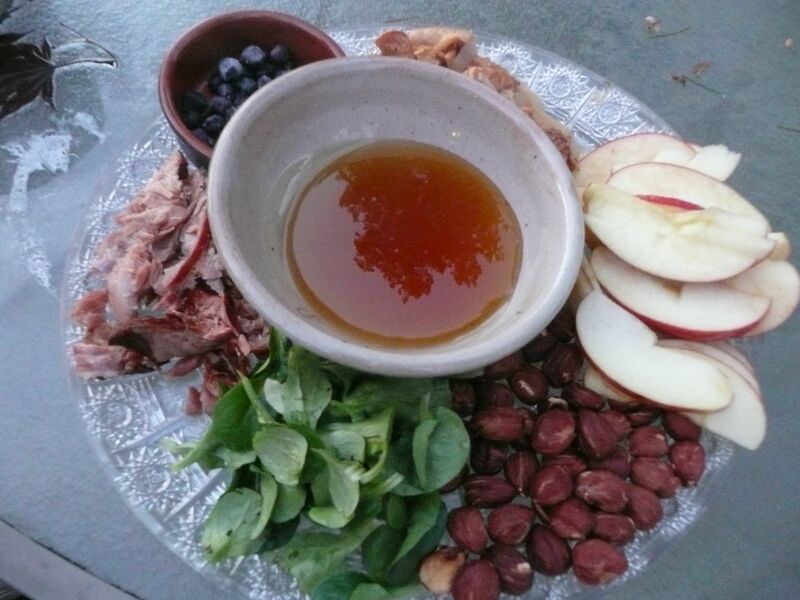 The traditional seder includes the seven species of Israel, as well as fruits with small and large seeds, to represent the usefulness of different kinds of deeds. For our seder, we added the (very traditional, dating back to as long as a year ago!) seven species of the Pacific Northwest: salmon, huckleberries, nuts, greens, apples, honey and wild mushrooms. You could certainly argue for other items to be included on that list, but it IS January. Oy, January. There are, of course, no almond trees in bloom in Seattle. This is a cold, wet time of year, when local vegetables make themselves scarce and local residents hibernate. If anything, that almost makes it a better time of year to have a local foods feast. Everyone knows the Northwest grows a lot of great produce in July, but there’s an assumption that eating local foods in January means basically gnawing miserably on an old, wrinkled turnip. But instead, with a little help from frozen, preserved, and non-local ingredients (some spices, olive oil, a little grain, a little lemon, etc), we managed to produce: Broiled salmon, mushroom-bean cassoulet, leek-mushroom quiche, roasted brussels sprouts, salad with pears and hazelnuts, cabbage salad, potato-onion gratin, butternut-apple soup, apple-cranberry cake, mixed berry crisp. I think that’s it. A bunch of wine too, of course. The meal had to be vegetarian/fish only for kosher rules, or the menu could have been even larger with the addition of red meat and poultry. So, hooray for an agricultural holiday giving us an excuse to enjoy some of the best things possible: the company of friends, the food of the place we live, the chance to reflect, the delight of leftovers.